At the beginning of January, I have a craving for bright food with bold flavours, hot red, uplifting orange & yellow colours, food that is fiery and warming – basically simulating sunshine when the days are dark and dank. Oranges*, lemons, persimmons, peppers, pomegranates, chillies – all seem to brighten the mood and tickle the taste buds. 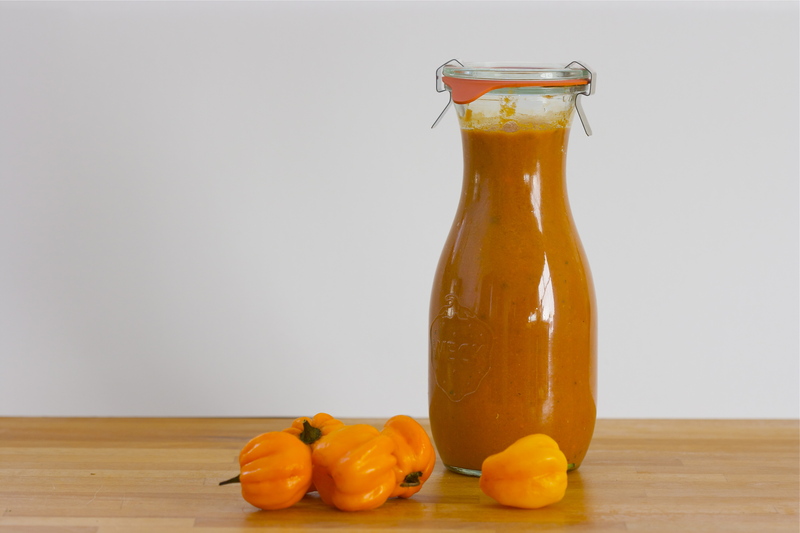 This is especially true for chiles habaneros, little orange lampions or lanterns, which have a pleasant flowery, fruity flavour and are as hot as the sun. So, a habanero salsa is quite literally liquid sunshine. 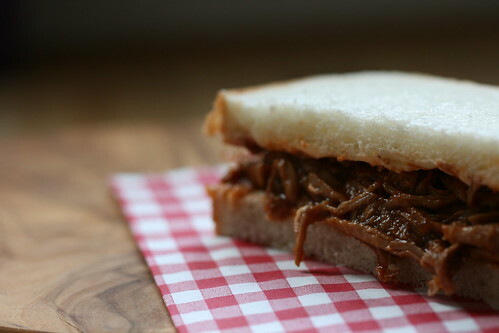 Chipotle barbeque pulled pork sandwich, a photo by the james kitchen on Flickr. Juicy, slow-cooked pork, shredded and doused with a quick improvised or customized chipotle barbeque sauce (or use a good store-bought one instead) in a buttered sandwich, white bread or a soft bun, please, just this once. For me, this is quite high-ranking on the ultimate comfort food list. It reminds me of the first encounter of something called Oaxaca pulled pork sandwich, obtained one day after shopping when plagued by pangs of hunger from a Saveway’s food counter and I am not so sure how authentic Oaxacan it was though it was so juicy, yummy, savoury, saucy, well, find out for yourself, here is the result of our own experiments. Oh, dear, I forgot to brag, this one was in the Guardian, too. Preheat the oven to 170°C or 340° F.
Place the pork shoulder into a Dutch oven, add the onions, garlic, herbs & spices, tomato paste and the stock. Pour enough water into the pot to just about cover the meat. Bring slowly to a boil over medium heat, close the cast iron pot with the lid and heave it into the oven. Reduce the temperature to 150°C or 300° F, leave the pork (turning it every hour,) to cook in its braising liquid for about 3-4 hours until the meat is fork tender. Remove from the pot from the oven, take the meat out of its cooking liquid, leave to drain & cool for a few minutes, then pull the meat into pieces. Add barbeque sauce & some of the cooking liquor., adjust the seasoning to your taste. Use more liquor for a thinner sauce: you want something rather thin like a gravy consistency to lightly coat the meat but not smother it in tons of sauce, at least that’s my take here. Concentrate the reserved & previously degreased cooking liquor: cook over medium to high heat to reduce it to about half the amount. Strain to catch most of the soft vegetable bits, keep the liquid. 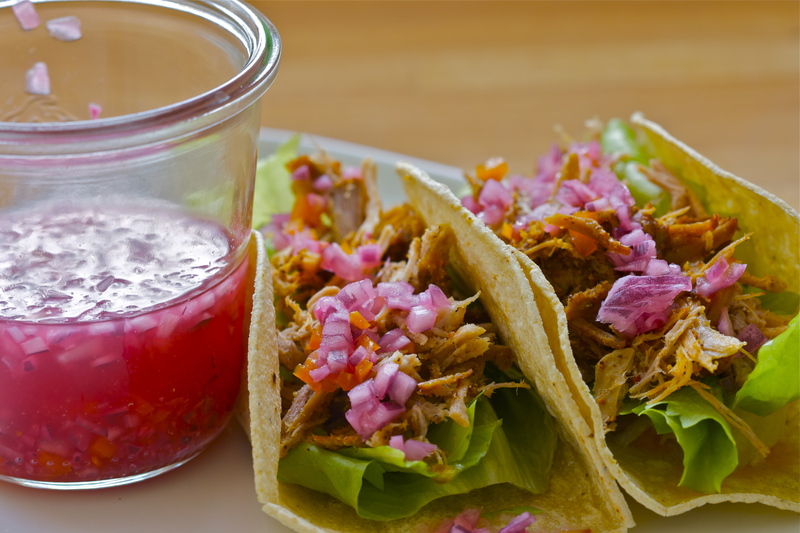 Add the chipotle chiles, ketchup, tomato paste, molasses and a little bit of the liquid to the soft vegetables and puree with a blender (handheld or fixed) to a spicy, smoky and not to sweet barbeque sauce. Die Schweineschulter in eine gusseiserne Kasserolle geben, die Zwiebeln, Knoblauch, Kräuter & Gewürze sowie das Tomatenpüree und die Brühe hinzugeben, dann mit Wasser auffüllen bis das Fleisch eben bedeckt ist. Bei mittlerer Hitze zum Kochen bringen, den Deckel auflegen und in den Ofen hieven. Die Temperatur auf 150°C reduzieren und die Schweineschulter für 3-4 Stunden kochen/backen (jede Stunde wenden) bis das Fleisch so zart ist, dass es auseinander fällt. Das Fleisch aus der Kochflüssigkeit (aufbewahren!) nehmen, abtropfen und –kühlen lassen, dann mit den Fingern zerpflücken. Mit Barbequesauce und ein wenig von der Kochflüssigkeit vermischen (das Ziel ist eine dünnere Sauce, die das Fleisch nur etwas saftiger macht und nicht ertränkt), abschmecken und zwischen gebutterten Kastenweißbrotscheiben, Toast oder Brötchen servieren. Schmeckt auch gut zu Reis, im Taco, Burrito etc. etc. Die reservierte & entfettete Kochflüssigkeit bei mittlerer bis starker Hitze bis auf die Hälfte einkochen lassen, dann durch ein Sieb gießen, die Flüssigkeit auffangen und die weichen Gemüse mit den Chipotles, Ketchup, Tomatenpüree & Molasse pürieren, mit der Flüssigkeit bis zur gewünschten Konsistenz auffüllen & verrühren. 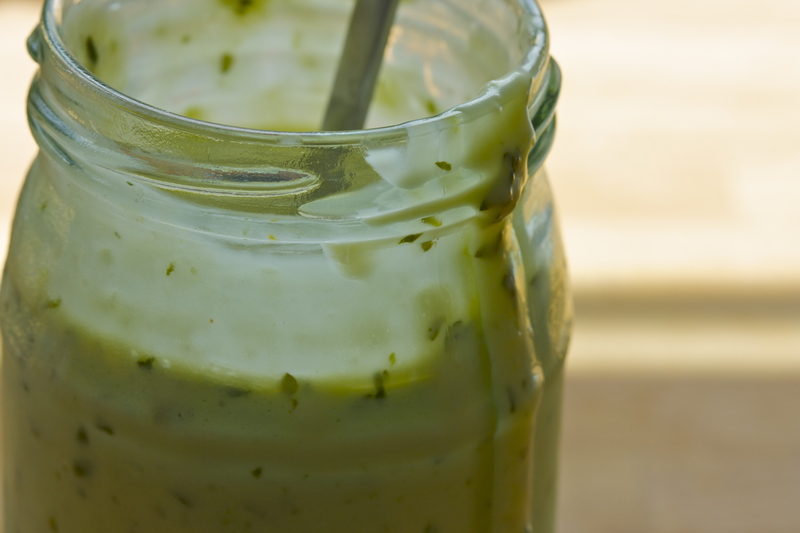 Chipotle-lime mix, a photo by the james kitchen on Flickr. We have got friends coming for New Year’s Eve and we are planning a great feast. No need to say that for a proper party one needs nibbles to go with the cocktails and drinks and since we are all spice-lovers and the food is sort of American/Mexican (write a blog and your husband only needs to point), logically the nuts should match the theme, too. Originally I had planned to make Lisa Fain’s recipe for Chipotle lime Texas trash but in the end used it as a pattern and fiddled to get a hot and spicy chile chipotle-lime nibble with more chiles, lime and no cinnamon. And let me say, this is quite something: it is smoky, spicy and hot, has a depth in flavour from the garlic, Worcestershire sauce and several layers of lime taste and is quickly becoming a real favourite in our house. I am just hoping there will be something left for our guests. You may use it as a blueprint (as long as you stay within the 8 cups-formula), too and change the ingredients or quantities of nuts, pretzel & cracker around. Ups, I just wanted to make those again and couldn’t find the recipe… I am not sure where the text had gone, if I had published it correctly in the first place or there were just too many tests to remember, so here it is. You live and learn, sorry to keep this from you. Preheat the oven to 120°C (250° F), 110°C for fan oven is what I used and prepare baking sheets with parchment paper. 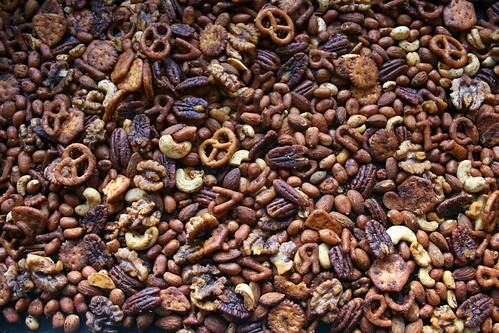 If the crackers and little pretzel pieces (like the Knabbermischung I used) are hardly salted mix them together with the nuts in a large bowl and set aside. If your cracker & pretzel mix is already quite salty, place it in a separate bowl from the nuts so that a part of the seasoned butter can be added without the salt while the nuts are salted & seasoned in the other bowl. Melt the butter over a low heat, add the lime juice, Worcestershire sauce and all the spices (see if you need to salt parts separately), reserve the lime zest. Stir to combine and pour it over the nut-cracker-pretzel mix. Mix well until everything is coated with the seasoned butter, add the lime zest and stir again. This should happen swiftly otherwise the crackers will get a bit too soggy. Spread your spicy nut mix immediately out on the baking sheets and bake them in the oven for 45-50 minutes. Rotate your sheets after half an hour and stir the mix from time to time. When everything seems lightly browned & toasted dry take the mix out of the oven, sprinkle with the lime juice & zest and toss to spread the final lime flavour evenly. Leave to cool if you can. Chicken chile verde, a photo by the james kitchen on Flickr. Not the prettiest of pictures I admit and I am happy to have a very good reason to cook this again very soon – just for the picture, you know, but this is such a tasty dish that it would be a shame to wait since it will be a good thing to use up turkey leftovers, too. I might be wrong but there might be a time in the near future where plenty of those will be available and this you do not want to miss out on. When we lived in California we used to buy a chicken chile verde from Trader Joe’s and loved it so much that back here – where no TJ’s exists – we needed to make our own and after a few trials & fiddles we had our own chicken chile verde: it is even better, fresher and dead easy to make. It is best to cook the whole amount even if you are just two people, freeze the rest and you’ll have more ready to go when you need a quick fix. 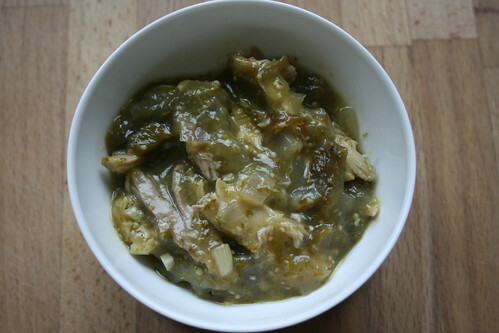 I buy the whole chicken (to make sure it is not so much tempered with, at least free-range, long-lived, traceable and so on, no Frankenbird), roast it one day and use the leftovers for salads, chicken Fricassée (with loooots of capers for me)… and surely this chicken chile verde. If you start from the beginning then either roast a chicken along side something else (if you have the oven on already, might just squeeze a chicken in) or cook one in this sort of mexicanized court bouillon (recipe below). Not be too missionary & evangelical about it but I really recommend a whole chicken with bones & dark meat from free-range, long-lived birds (that is the healthy part with all the omega 3 & 6) for a proper chicken taste and succulent meat as opposed to the rather reduced one-dimensional taste of only breast meat. If you are squeamish about a whole bird use chicken pieces by all means, although there is a lot of flavour coming from the carcass and little tasty bits & pieces of meat that you are missing out on. Like the Oyster or Pfaffenschnittchen (the best piece for the priest…), in French it is adequately called Sot-l’y-laisse – “A foul who leaves this behind”. Either roast a chicken (rubbed in olive oil, stuffed with two bay leaves & at least three garlic cloves – though why so stingy, they are the best to eat with the chicken – and seasoned with salt, pepper & dried thyme) in the oven at 200°C or 400° F for about 1 hour and leave to cool OR make the chicken one day for dinner and use the leftovers for this OR get a cold rotisserie chicken. Pick the meat of the bones and tear into bite-sized shreds (as for Fricassée). Place the drained tomatillos, soft garlic cloves, most of the sliced Poblano peppers, jalapeños & coriander in a blender or food processor and chop with quick pulses to a chunky purée. Sweat the chopped onions in a little olive oil until translucent, add the chopped garlic cloves and stir for a scant minute to cook these, too. Add the chicken pieces, the tomatillo sauce, chicken stock, cloves and dried oregano. Let the whole thing cook on a low flame for a while (minimum 10 minutes or much longer until you need it) – this is mainly to get the flavours to mingle and to reduce the liquid in the sauce to a nice saucy consistency. 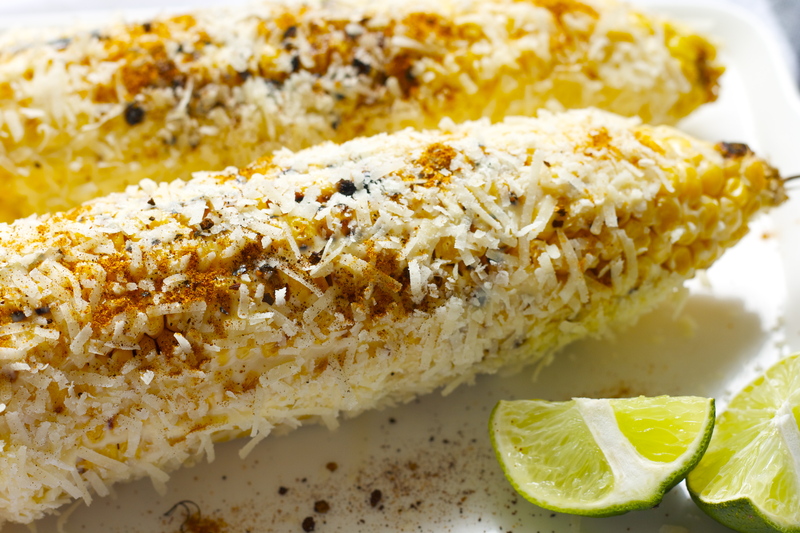 Season with salt & freshly ground pepper and if you like green Tabasco. Serve with rice and I think green vegetables of your choice, we have snow peas or broccoli or something along those lines with it. If you have a large stock pot leave the chicken whole otherwise cut it into quarters and put it along with the other ingredients into the pot. Cover with water and bring over high heat to the boil. Reduce the heat to a gentle simmer and cook it for about one hour. Remove the chicken from the bouillon and leave to cool. Take of all the meat when it is cool enough to handle and shred into bite-sized bits.